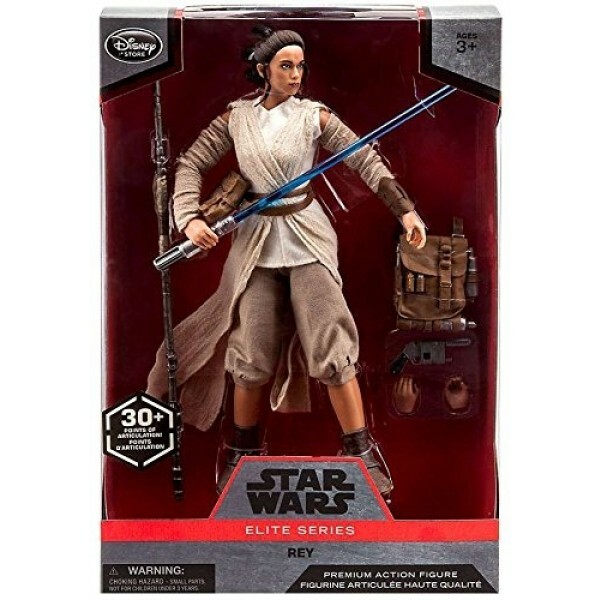 Fans of Rey will love this impressively detailed 10" action figure from the Elite Series! The resilient survivor comes complete with lightsaber, blaster, backpack, staff, interchangeable hands, and a standing base. 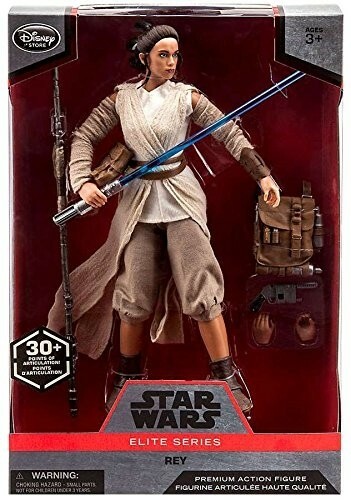 30 points of articulation in this meticulously crafted action figure allow you to pose her in dynamic ways for an epic addition to your collection, but she's also tough enough for younger fans to engage in all sorts of active pretend play. For more fun and exciting action figures, visit our Dolls / Action Figures Collection.